Tell us about your store Thread Den and the concept behind it. Thread Den North Melbourne opened in November 2007, because we saw there was a need for a hub for aspiring designers and for craft enthusiasts to get together and form industry contacts or just meet like-minded people. 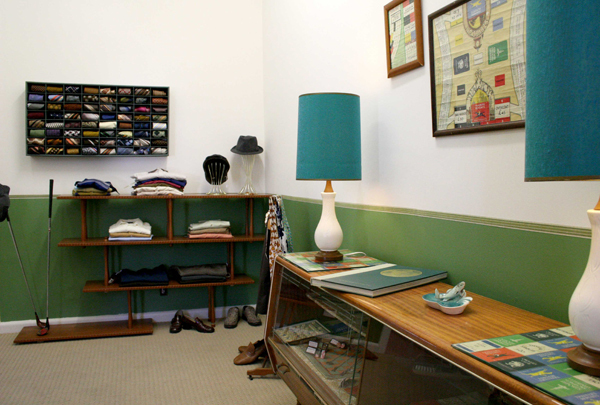 We believe Thread Den was the first drop-in sewing lounge offering classes and retail under the same roof in Australia. It was really important to us to be involved in the community and be an inclusive, inviting space for both total beginner sewers and experienced crafters and seamstresses alike. What are your individual backgrounds and what lead you to where you are today? The Thread Den la dies come from pretty different backgrounds. 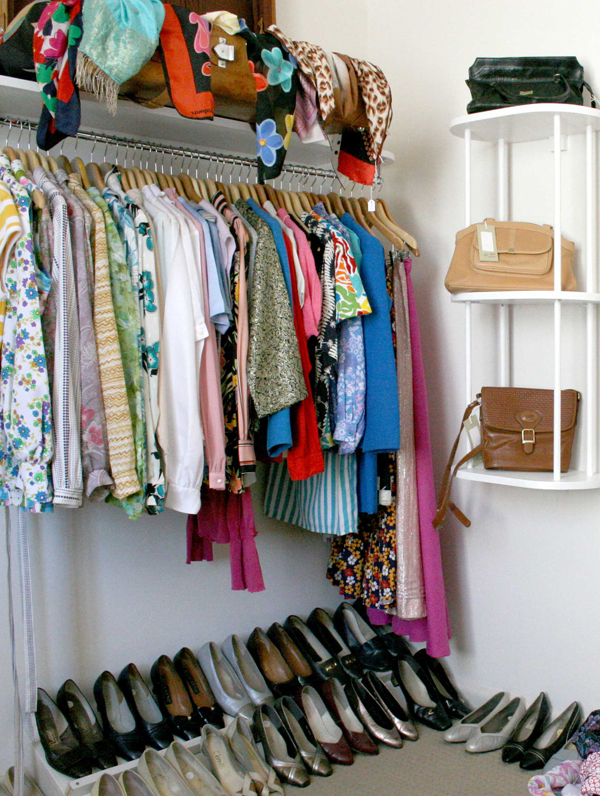 Melissa has a business background, but is also a designer with her own label, Ishee. 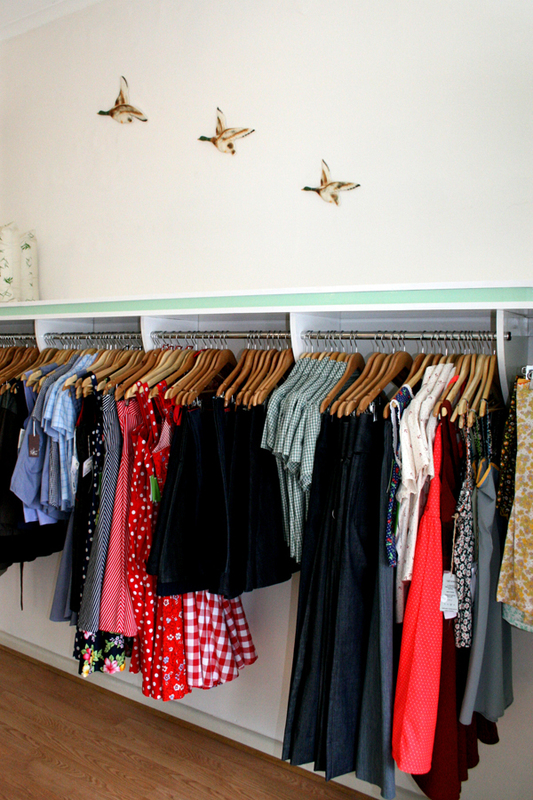 Kylie completed Costume Design at TAFE and also has her own label, Oh Bluebird. Tennille is our admin guru, while I have a background in English and copy writing. 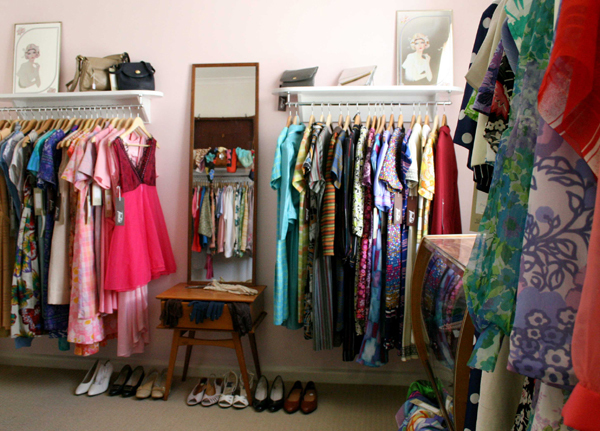 However, we all love vintage fashion, and of course sewing and all things handmade. What do you look for in the labels & product in your store? They must be Australian-made, well-constructed, offer something unique, and of course, we love vintage influences. What has been the most successful aspect of your first store? The sewing classes for beginners have been a huge hit. We still find our Sewing Basics Module 1 and 2 booking out weeks in advance. We love that some people have now completed all our basics classes, moved on to our advanced projects and are now really accomplished sewers – it makes us feel like proud parents! Both North Melbourne and Fitzroy are vibrant communities, with great comraderie between both store owners and the locals. North Melbourne has a lovely laid back, quirky and stylish feel. Fitzroy on the other hand is go-go-go at all hours, with an energetic, eclectic vibe. Of course we love that Melbourne seems to be the craft hub of Australia at the moment, with so many fantastic clothing, accessory and textile designers. We really are spoilt for choice in respect to labels to stock in the store. We often have people coming from interstate to visit Thread Den. What challenges have you faced working together and running your own business? We are all confessed workaholics, and often feel that there are not enough hours in the day to bring all of our (somewhat ambitious) ideas to fruition. We’re constantly organising events such as our annual show for Melbourne Spring Fashion Week, our classes program for the L’Oreal Melbourne Fashion Festival, taking part in the Stitches and Craft show, or holding our own in-house events. In short, we’re always biting off almost more than we can chew! However, we’re all pretty good at supporting each other when we’re flat out.